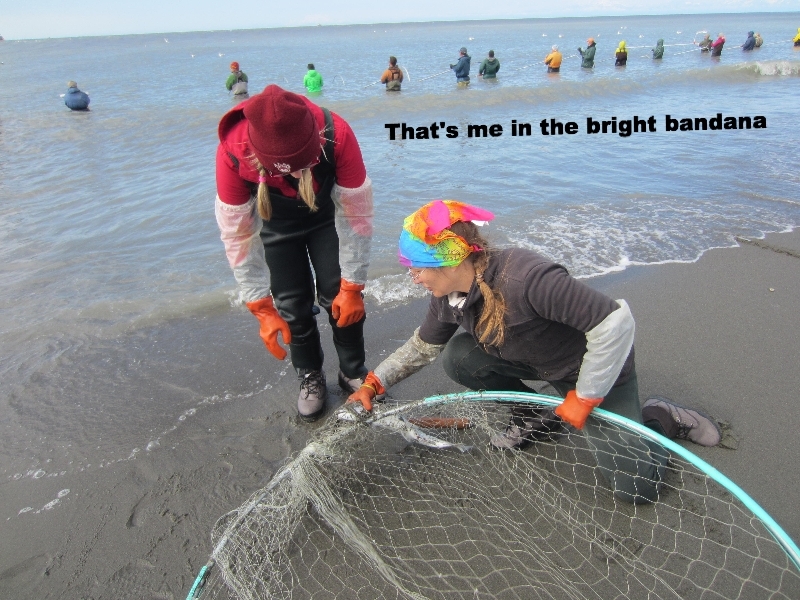 Every July my family heads to the Kenai River with our nets to dip salmon. As a family of four, we are allowed to keep 55 salmon – mostly reds – which weigh in at around 7 or 8 pounds. Add to that up to 10 flounder, and that’s a lot of fish to clean all at once! But honestly, we don’t eat that many fish, so we generally limit ourselves to 25 salmon and 1 flounder if we happen upon one large enough to bother with. We smoke about half, and freeze or can the rest to enjoy all winter long. Here’s one of our favorite salmon recipes! Prepare about five 6oz salmon filet portions by sprinkling with salt and pepper. Spray a large skillet with non-stick cooking spray and heat over medium high heat. Place salmon filets, skin side up, in the skillet and cook four to five minutes or until golden. Flip and cook another five to ten minutes until the fish is almost opaque (do not overcook – the salmon will continue to cook slightly even off heat.) Remove fish to serving plates, leaving the skin behind (some people eat it, but we don’t care for it) and dollop each filet with the cilantro pesto. Serve immediately. Great with hot cooked rice or noodles and a side salad.